First Aid Courses in Surrey, B.C. 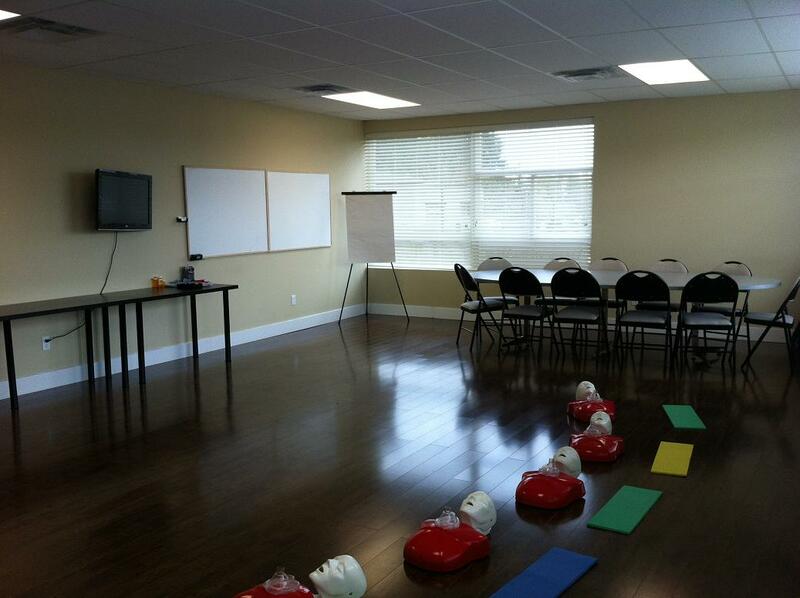 Vancouver First Aid stands out as the leading training service provider of first aid courses in Surrey. This St Mark James training provider has been providing a variety of courses in Surrey, B.C. for over 5 years. Training centres are located in Newton and Whalley business districts and provide participants with ample free parking and easy access to public transit. A variety of classes are available including combined first aid and CPR training courses, stand-alone CPR classes, private classes, and refresher courses. Participants may also enrol in safety courses and food safe level 1 and level 2 training. Because of the numerous class schedules, you’re sure to get a class that fits your needs. All training courses are St Mark James certification courses, taught by certified instructors that are experienced, knowledgeable and friendly. A popular one-day first aid course that meets WorkSafe BC requirements for first aid certification is Workplace Emergency First Aid (WEFA). This course requires 100% attendance is takes no less than 8 hours to complete. This course is available multiple times per week at the Surrey training centres. A popular two-day course is standard first aid which includes CPR and AED training. To register for first aid courses in Surrey use the contact information posted below or register on-line with the on-line registration form. A complete list of class schedules can be found on the Vancouver First Aid website. Enrolment can be completed using the application form below or via e-mail, telephone call, or walk-ins at the training center. Vancouver First Aid is located in the heart of Surrey. The main training facility is located within the business center of Newton with free parking and access to public transit. Plenty of amenities are also available within walking distance. Vancouver First Aid offers lessons in a number of training centers in Surrey at a variety of times and dates. Each training course is provided at least two times each week with popular courses held as much as five times each week. Private courses are also available for trainees who are unable to enrol in a regular class schedule. Big companies or groups usually take private classes. Certificates valid for three years throughout Canada are given to trainees who are able to complete a training course. Expiring or near-expiry certificates may be renewed through refresher courses offered at least twice a week at either the Newton or Whalley training centres. Why study basic first aid? Watch the video below to see how first aid knowledge and skill can save the life of a stranger or someone you love. One of the more popular topics covered in basic first aid classes is burn injuries. A short lesson on how to manage bleeding injuries can be seen below. The latest Basic Life Support (BLS) guidelines are used in the different training course levels as a guide to the latest techniques and pathways in rescuing a victim of cardiac arrest. Circulation is addressed first before airway and breathing. Immediate chest compressions within 3-5 minutes after cardiac arrest has been shown to increase the survival rates of victims. One of the core skills in first aid training is blood pressure measurement. Trainees are taught how to use a stethoscope and sphygmomanometer to measure blood pressure. Blood pressure is the force needed by the heart to pump blood against the resistance of the vessels in the body. The pressure as the heart beats is the systolic blood pressure (contraction), and the pressure in between beats is the diastolic blood pressure (relaxation). According to the latest guidelines by the JNC (Joint National Committee), normal blood pressure is below 120/80. Prehypertension is between 120/80 to 139/89. Hypertension is 140/90 and higher. Having a hypertensive systolic only or a hypertensive diastolic only is enough to diagnose hypertension.